Studio Z is a vibrant performance space managed by Zeitgeist and located in the heart of St. Paul’s Lowertown neighborhood. Studio Z hosts a variety of lively and eclectic music events and is available for rental by performers and organizations. The studio is a gathering place for the performers, creators, and audience members that make up our new music community. We’ve designed this easy-to-use, affordable space as a welcoming environment in which you can create and present your work and share it with music lovers. If you are interested in renting our space for your event, please contact Heather Barringer at heather[at]zeitgeistnewmusic.org or 651-755-1600. Cost: Studio Z is available for performances and events for $175/day. Use of the piano will incur an additional cost of $35/day, plus tuning (see “Piano” for further information). Use of our online ticket system entails a small charge as well (see “Ticketing” for further information). In addition to our daily rate, use of Studio Z for an extended period or on an ongoing basis can be negotiated by contacting Heather Barringer at heather[at]zeitgeistnewmusic.org. Staff: Studio Z does not supply front-of-house or technical staff. Renters are responsible for procuring their own ticket-takers and technical personnel. However, Studio Z is designed so that most performers can easily present in the space with the assistance of just one additional person. Ticketing: Presenters at Studio Z may request to use our online ticket system to sell tickets and manage reservations. We charge $.50 for every $5 sold to cover the Paypal service fee. We suggest a ticket price of $10-15 for Studio Z events. 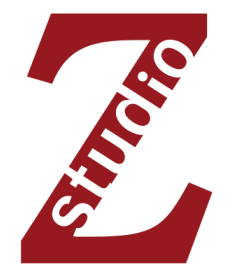 Promotion: Studio Z events are listed on our website, www.studiozstpaul.com and our Facebook and Twitter fan pages. 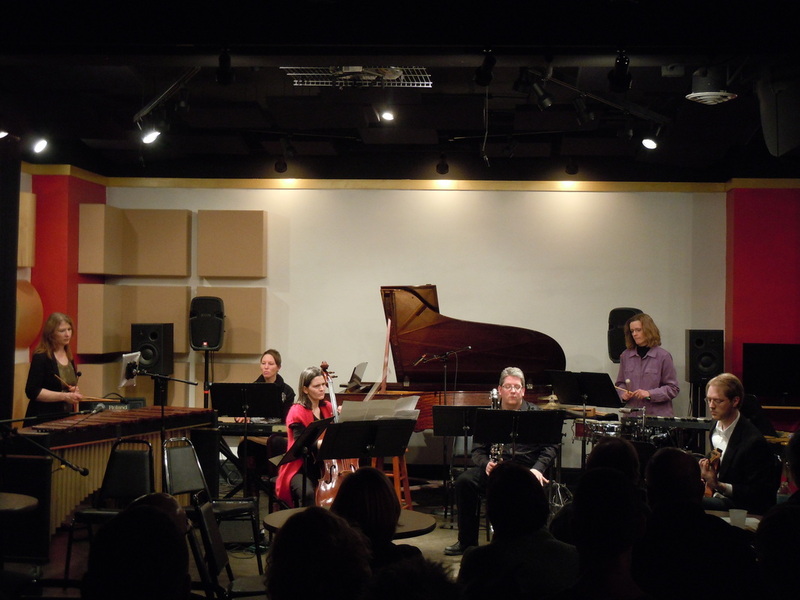 With enough advance notice and sufficient performance information, Studio Z events will be featured on our monthly e-newsletter. Our marketing director, Katherine Bergman, will also send a brief description of your event to local media and post the event on local online calendars. Katherine can be reached at katherine[at]zeitgeistnewmusic.org. Stage: Our stage area is 20 feet wide by 19 feet deep. Flooring is concrete. Studio Z does not have a built-in stage; rather, our stage area and house areas are defined by our stage lighting and house lighting, though a variety of configurations are possible. Sound System: Our sound system consists of a playback system for recordings via auxiliary devices plus a PA system for performer amplification. A compact disc player is provided. Our mixer has 10 mic inputs and 4 audio inputs for CD player or other interface. Two playback speakers and two PA speakers are located at the back of the stage along with a snake with 10 XLR inputs. Mixing location is at the back of the house. Guest performers are requested to bring their own cables, computer interfaces, DI boxes, and microphones. Further specifications for sound equipment are available upon request. Video Projector: Studio Z has an Epson S1+ projector that can be mounted on our ceiling or located elsewhere in the space. VGA cable runs to the back of the house. We also have a 26-inch LCD television monitor. 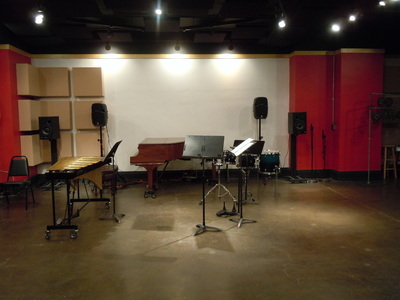 Piano: Studio Z has a black 7' Steinway piano for the use of our guest performers for $35/day. This piano use fee enables us to maintain the instrument. This fee does not, however, cover the cost of tuning the instrument. Tuning may only be provided by our contracted piano tuner and will be provided upon request for an additional fee of $100. Artists who rent Studio Z may use the piano for playing on the keyboard only. We cannot allow any techniques involving touching the inside of the piano with the hands or an implement or preparing the piano. Artists who rent the piano are financially responsible for any damages to the instrument, whether mechanical or cosmetic, such as broken strings or action parts, scratches to the case, or damages to the key tops. Lighting: Stage and house lights can be configured in a variety of ways and are operable from the stage area or at the back of the house. Miscellaneous Performance Equipment: Black, armless chairs, 2 stools, and 20 Manhassett music stands. Accessibility: Zeitgeist is wheelchair accessible and strives to provide a welcoming environment for disabled performers and audience members. 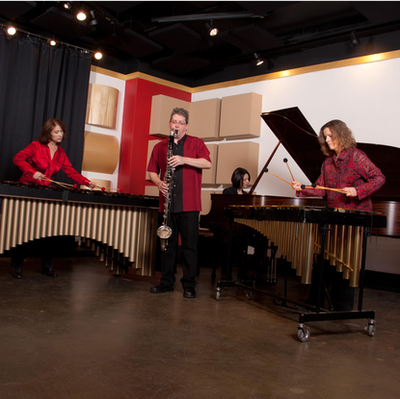 Backstage and Storage: While Studio Z doesn’t have a backstage area, performers often use the kitchen area to prepare instruments and wait offstage. Our storage area has some space for storage of guest equipment. Load in: Equipment can be loaded in through the main entrance on 4th street. Elevators are available. House Seating: Studio Z seats 75–100 audience members, depending on the seating configuration. Seating can be arranged in traditional rows or cabaret style. Studio Z has 100 chairs and 6 round cocktail tables. Kitchen: Studio Z has a kitchen off the stage area with a sink, dishwasher, refrigerator with filtered water, microwave, and small convection oven. Some trays, plates, and pitchers are available. Reception Facilities: Studio Z has a kitchen near the stage, and the bar at the back of the house (which also serves as the mix position) can be used to serve refreshments. Studio Z has three 6-ft conference tables and one 4-ft table. Restrooms: Facilities for patrons and performers are located down the hall on the same floor as Studio Z.